I cannot verify this, but sources tell me Socrates himself once wrestled with this very question: to paint, or not to paint? 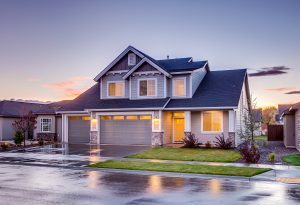 It’s a serious question, because statistics show that in 2017 it costs between $1.16 and $2.45 per square foot to paint the exterior of your house. Take the square footage of your house and multiply by a number in middle somewhere, let’s say $2.00, and you might be looking at a price tag to make the wallet sweat. Good news – there’s a great chance you don’t need a paint job, and every day we help our customers navigate through this pickle to determine the best solution for their home’s exterior. Here’s an overview to point you in the right direction. There are a wide variety of stressors that can have an adverse effect to your home’s exterior paint job. Some require serious attention like paint and carpentry work, and others are much easier and budget-friendly to solve than you might think. Let’s start with the worst-case scenario so we can move onto brighter things. Damage from foreign objects such as insects, storm debris, teenage drivers, etc. But far more often – and this is the good news – in the muggy, rainy climate of southeast Tennessee, your paint is simply dirty. In some situations – and without proper maintenance – we’ve seen paint accumulate dirt, mold, and mildew in less than one year in the Memphis area. It’s tricky to keep up with, but thank your lucky stars because it’s far more affordable than a paint job! But in spite of these signs of a dirty house, sometimes it’s very hard to tell without a trained eye or a very tall ladder the true state of your paint. In the Memphis area, there are loads of 3 or even 4-story houses where it would be quite difficult to know what’s going on at the top of a tall eave or gable. Some customers have even used garden hoses to spray siding, which does absolutely nothing to dirt that’s had time to dry, mold, and mildew. But to reiterate, based on our rough mental math, there’s probably a 65% percent chance you just need a housewash. These cost between $150.00 to $375.00 for the average Memphis home (some rare exceptions for the monster houses), and of course we ALWAYS give you a firm quote up front. Thanks for reading, I hope it helped. Visit our Memphis Pressure Washing for more information. As usual, shoot me an email and ask me anything! Call True Shine at 901-600-1015 or click to request a free estimate. Save big on your True Shine window cleaning or other services with our current coupons. Please give us a call at 901-600-1015 to request more information. If you would like to request a free estimate please click on the link below. Interested in working for True Shine? Click below to be directed to our online job application.